Bodegas Bórbore is a family business with genuine argentine capitals. Its history begins in 1936 when Don José Bórbore, an Italian immigrant, started his industrial activity by creating a small winery in the Sierras de Pie de Palo, located in the east of the capital city of San Juan. It is in the 2000’s that the Berzenkovich family, with a long winemaking tradition in the region, starts a new stage within the company. With a renewed impulse, the new family group gradually incorporated technology, betting on a vanguard viticulture and preserving the spirit of its predecessors. With a clear vision of the new demands of the market, Bodegas Bórbore implemented new investment plans to move solidly towards the future. The company undertook the challenge of increasing its production capacity to position itself in the national and international markets. As a result, Bodegas Bórbore creates wines of superior quality that reflect the character and Argentine style, captivating the palate of knowledgeable, demanding and faithful customers. Bodegas Bórbore seeks to create wines that capture the essence of our land as a faithful expression of the traditions, customs and values of its people. Entrepreneurship means to start a journey, and the immigrants knew that better than anyone. This is the spirit that mobilizes Bodegas Bórbore. With its firm roots in traditions and its "know-how" perfected from generation to generation, it focuses its vision on amalgamating the wisdom of the past and the innovation of the future. The company owns 335 hectares of vineyards, which are divided into five farms located at strategic points in the Tulum Valley. Finca San Martin, in the north, at the Sierras de Pie de Palo; Finca Cochagüal and Huanacache in the south; and Finca Las Palmeras in the northeast. Located between 600 and 1,200 meters above sea level, each one has its own terroir and microclimate that allows them to obtain grapes with high polyphenolic concentration and sweet tannins, highlighting the signature fruity aromas and flavors of each variety. 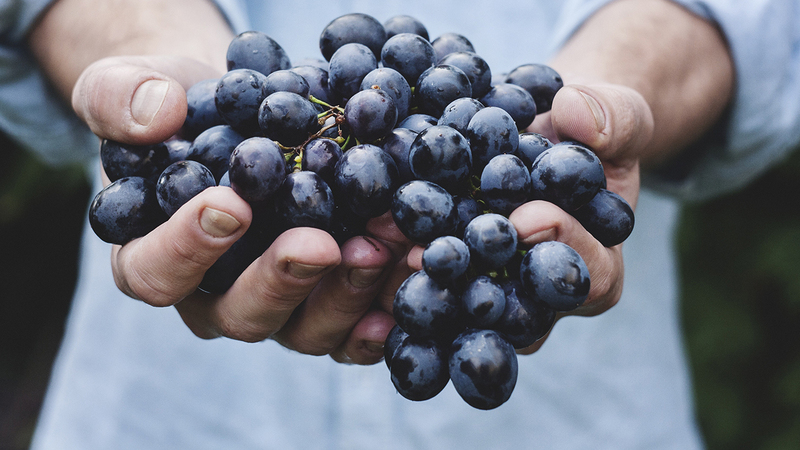 The most cultivated grapes are: Malbec, Syrah, Cabernet Sauvignon, Tempranillo, Barbera and Bonarda (red grapes); Chardonnay, Chenin, Torrontés, Viognier and Pedro Giménez, (white grapes). The selected varieties are rigorously controlled from pruning, the management of new shoots, the fertilizers and irrigation, until they reach their optimum ripeness point, when they are harvested manually. Located in the department of San Martin, it surrounds the winery leaving it located between vineyards. The oldest vineyards of this farm date from 1952, increasing the area planted under this system progressively until 1995. From 2001, with the existence and dissemination of new cultivation technologies, we began to plant vineyards with a modern structure, in search of quality over quantity. Finca San Martin offers an unbeatable view of the Pie de Palo hill, crowning 80 hectares of vineyards that express the care and importance of the land for the whole group of Bodegas Bórbore. Located to the southeast of the Valley of Tulum, it has an area of 44 hectares. Its activities started in 1956, in the hands of a friendly family from Austria. Its experience and care contributed to the personality of these vineyards achieving excellent yields and good quality. The villa that the owner family used to live is still preserved. In 1998, the farm passed into the hands of the Berzenkovich family, which continued not only with the care and mark of its original owners, but also investing in technology to merge millenary farming techniques, with the requirements and care that the environment and the quality of our products deserves. It is located in the San Martin department, in the northeast of the Tulum Valley. With an area of 120 hectares, its name refers to the large number of specimens of this species that grow in an autochthonous way. Its activity started in 1969 and always belonged to the Berzenkovich family. Since 2013, reforms have been initiated throughout the venue, including the planting of new vineyards, the incorporation of drip irrigation on its entire surface and the capture of the water supply in the reservoir for its better use. Located in the department of Sarmiento, it began its activity in 2001 with the plantation of 72 hectares of vineyards of high enological quality, watered in its entirety with irrigation by drip. The sandy loam soil provides a good drainage to the land, achieving a great concentration of aromas and tannins. The varietal wines obtained here are Malbec, Cabernet Sauvignon, Cabernet Franc, Merlot and Chardonnay. Modern and spacious, the establishment is organized in two independent warehouses. The first destined to the milling, elaboration and conservation of the wine, with a capacity of 15,500,000 to 20,000,000 kilograms per season. To store wine the winery has a vessel volume of 13,250,000 liters, of which 500,000 are distributed in stainless steel tanks of 20,000 and 30,000 liters. The rest is preserved in cement vessels coated with epoxy.